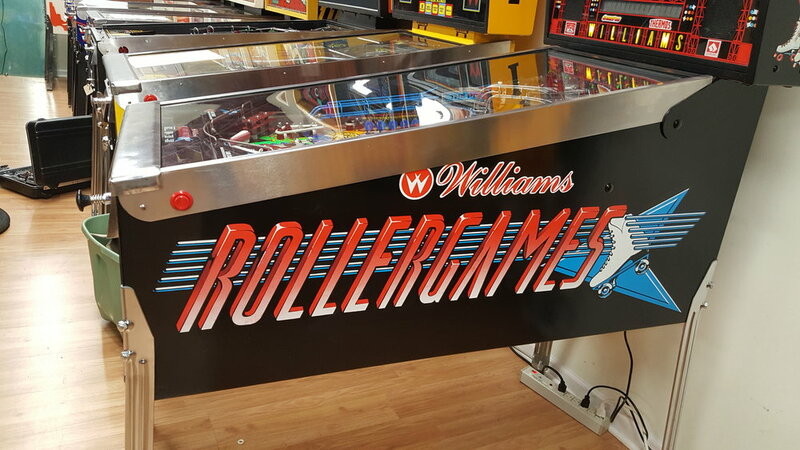 Relive all the fun of a roller derby with this classic game from Williams. Based off of the early 90's television show by the same name. 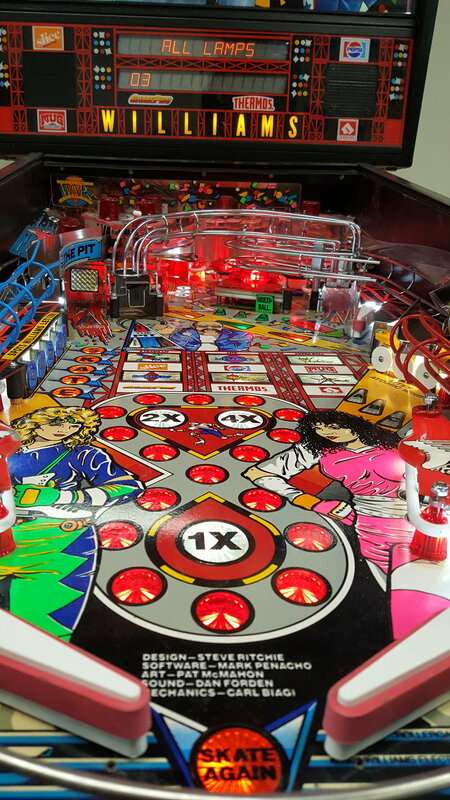 Unique Magnet Feature for the upper flipper, and a neat captured ball animation is sharp on this fun multi-level pinball experience. The cabinet has been freshly touched up. 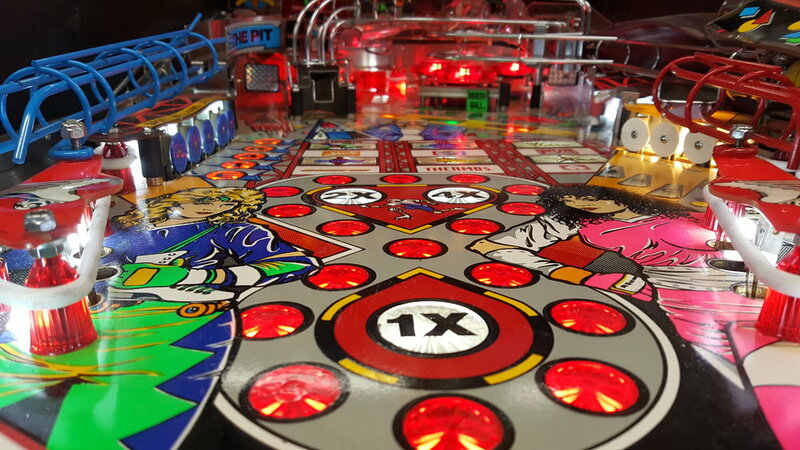 LEDs have been installed throughout all of the playfield and the head. 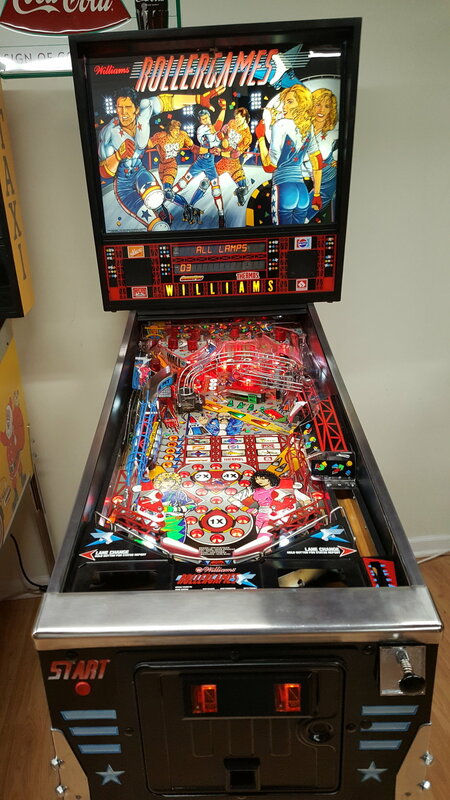 New rubbers all around and freshly polished playfield. 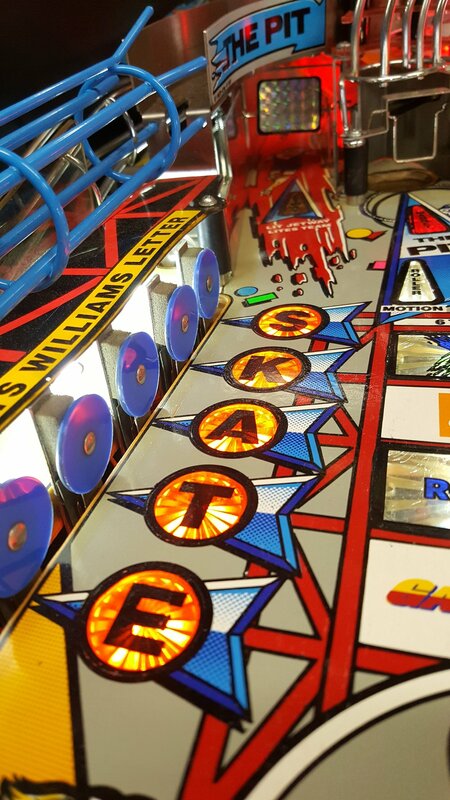 Rebuilt flippers, thumpers and slingshots.